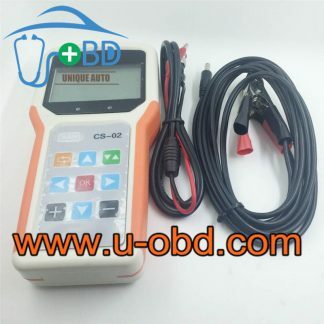 According to the site diagnosis rules of cars and actual needs as well as summary and analysis of characteristics of signal generator for cars, not only the function of the instrument is improved, but also some new features are added. 1.Real-time justification for signal characteristics. The signal parameters can be adjust finely- including amplitude, frequency, numbers of missing teeth and wave shape, etc.- while it is outputting. This feature greatly facilitates the determination of malfunction in car repair. 2.Kind human-machine interface. 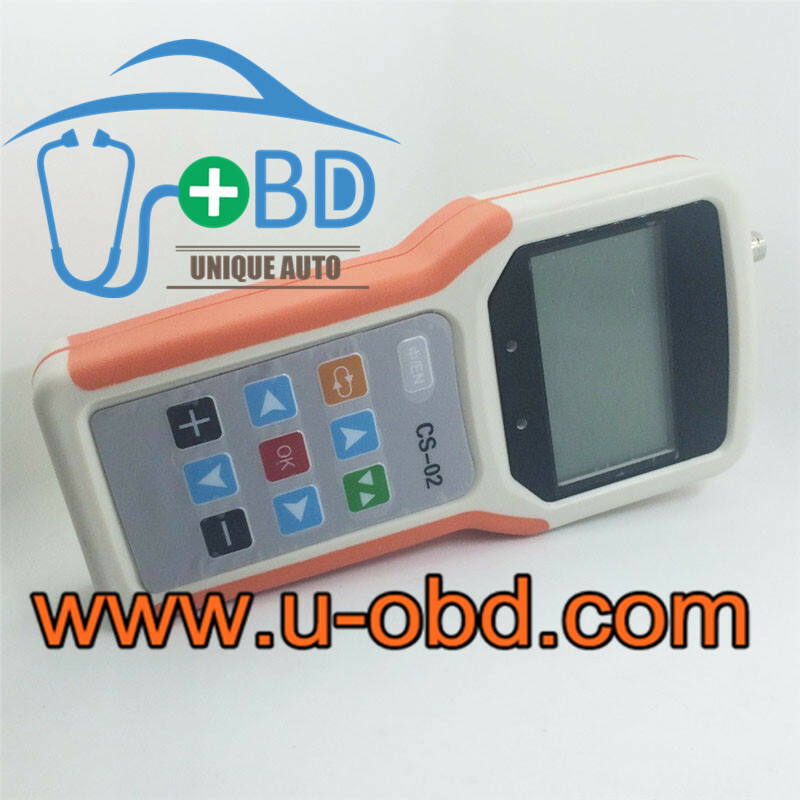 The instrument is using the simplest design with 128*64 LCD display, which shows clear interface logic and operation instruction to facilitates operators to execute multiple operations. 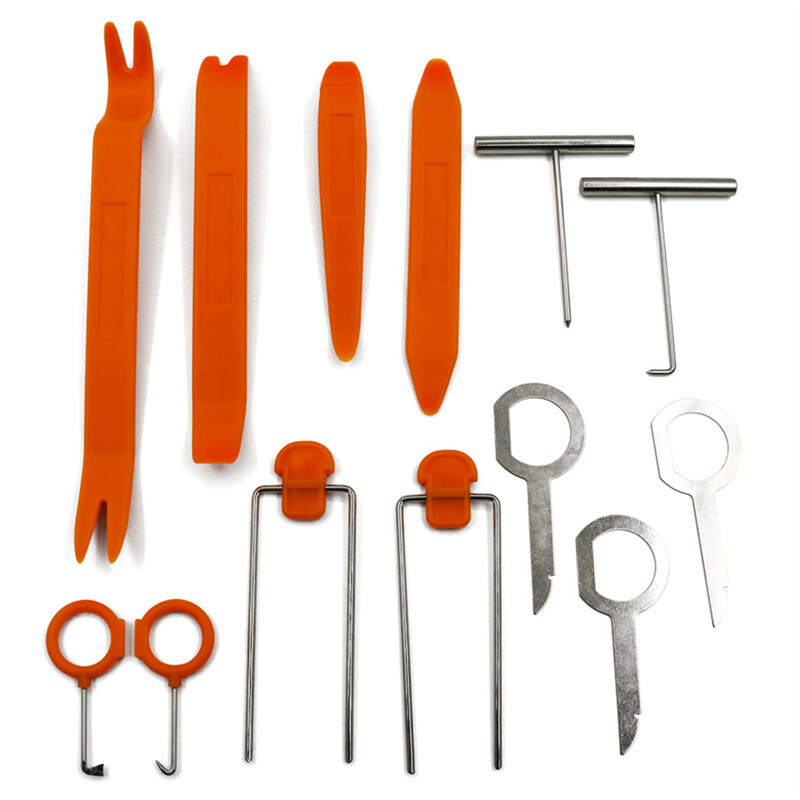 3.Tiny and convenient appearance which is done by second injection molding that make it comfortable to use. Internal components are all original import that customer can use with no worries. It?s mainly used to simulate signals of rotation rate, wheel speed and car speed, , etc. generated by magnetoelectric sensors. Example: Shape of 100Hz/5V sine wave output. 1 — 2KHz frequency stepless adjustment; signal single-ended output to ground; 5Vpp — 18Vpp amplitude stepless adjustment. 1 — 20KHz frequency stepless adjustment; signal single-ended output to ground; 5Vpp — 9Vpp amplitude stepless adjustment. X + Y signal from the square wave, the sinusoidal output to ground, etc., to facilitate a variety of crank signal simulation applications; in the signal-to-ground output sine wave, square wave characteristics of real-time switching. 0 — 5V voltage stepless adjustment; output voltage accuracy of 0.02 real-time display; signal single-ended output to ground. 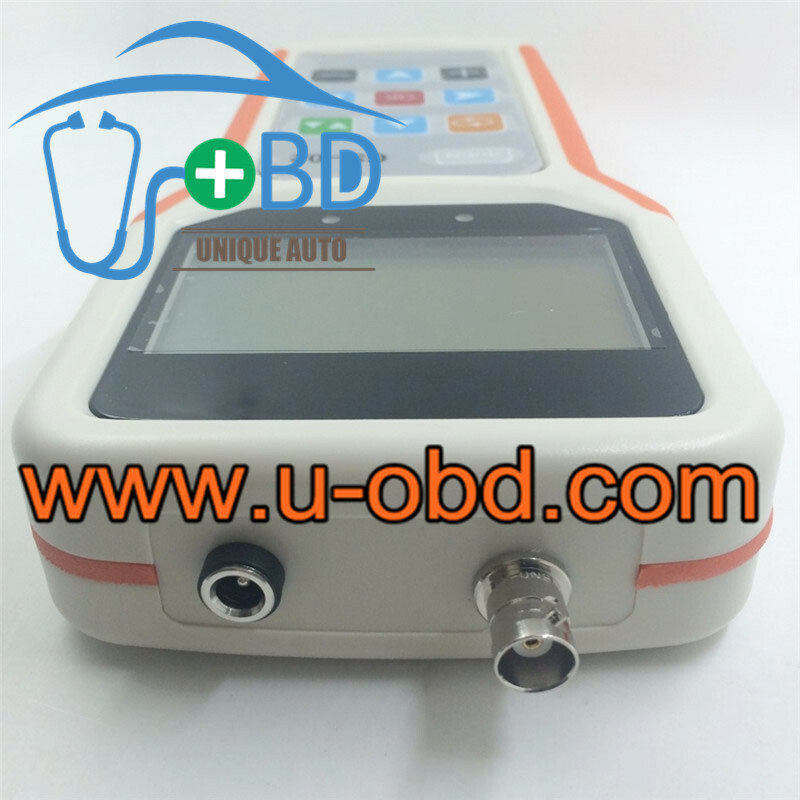 0.1V, 0.9V oxygen sensor oxygen ion concentration in dilute concentrated switched in real time; signal single-ended output to ground. 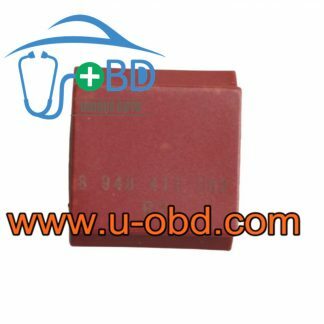 Mainly used in the oxygen ion concentration of the oxygen sensor output analog signal. 2 Hz — 999 1 Hz frequency independently adjustable; 1% — 99% 1% duty cycle independently adjustable; signal single-ended output to ground; amplitude fixed output. 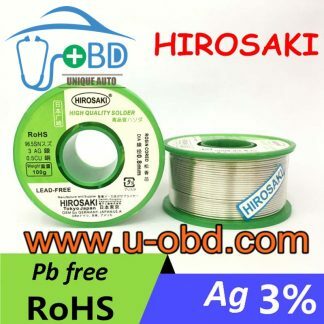 Mainly used in magnetic sensors produce speed, wheel speed, vehicle speed analog signal. Mainly used Hall and photoelectric sensors generate speed, wheel speed, camshaft position, air flow and other digital frequency analog signal. XY adjustable, the adjustment range X (0-60), Y (0-3). Mainly used in magnetic-electric, optical, Hall-style crankshaft missing teeth and other analog signal. Mainly used in throttle position, intake pressure, EGR valve position, water temperature, intake air temperature, etc. of the analog voltage signal. Oxygen sensor output waveform can be simulated. 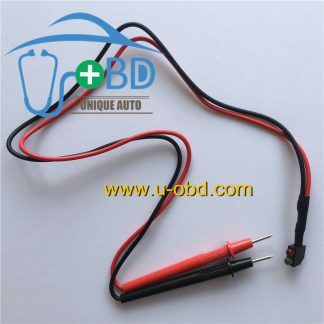 Mainly used in the ignition control signal, fuel injection control signal, the camshaft position signal, EGR control signals and the analog pulse signal. The apparatus according to the laws of automotive diagnostic site and the actual needs, summarizes and analyzes the existing signal generator characteristics of each car, in addition to a significant increase in functionality, but also has the following new features. 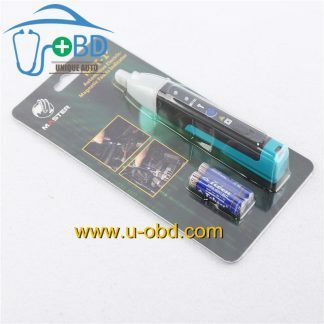 3, the appearance of compact and convenient, the use of the second injection, the use of feel good. Internal device used in all imported, users can be assured!